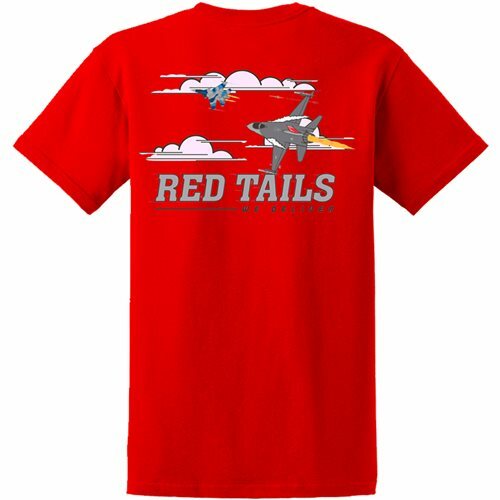 Your 100th FS Red Tails T-Shirt features a screen printed back artwork with 3.5" tall front chest patch. This is available in any color and in any sizes with a minimum order of 48 shirts. Once we receive your request for quote, we'll contact you soon to discuss your needs in more detail.